Your home deserves Canadas No. 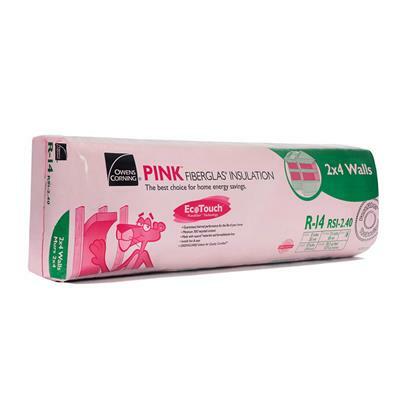 1 insulation - Owens Corning™ EcoTouch® PINK™ FIBERGLAS® insulation. It will help to keep you warm in winter and cool in summer, and did you know you could save up to 28%* on heating and cooling costs when you re-insulate your basement walls and top up your attic? The friction fit batts are easy to install and available in a full range of R-values, offering outstanding thermal and noise control solutions for every project. From the attic overhead to the basement below, and the walls in between – for new construction or adding to your existing insulation, there's an Owens Corning energy-saving* PINK™ insulation solution for every part of the home. *Based on the average recycled glass content in all Owens Corning fiberglass batts, rolls and unbonded loosefill insulation manufactured in Canada. ** Savings vary depending on the original amount of insulation in your home, climate, house size, air leaks, and personal energy use and living habits. ***Made with a minimum of 96% by weight natural materials consisting of minerals and plant-based compounds.